The El Capitan Theater in Hollywood is sure to screen a Disney movie, and when we're lucky, they show a classic. This June, they'll be screening The Aristocats! Get your tickets now though; it's only for one night. Become your favorite Disney Archer with a free archery class! Robin Hood, Merida, Mulan, Gaston: Become your favorite Disney Archer with a free archery class at Roving Archers in Pasadena! It is an ongoing program for all ages. You must be there by 7:15am to get fitted for equipment. Class is from 8:30am-10am. You could watch the new Disney Pixar movie at any movie theater that has it, but we highly suggest the Arclight in Sherman Oaks. Just the fact that we don't have to rush to our seats (because they are already reserved for us) makes the cost of the ticket worth it. Oh, and the concessions? THE BEST! Inside Out opens June 19th. Prize: Winning team gets an ice cream cone at Ben & Jerry's on us! Walt's Barn is open the third Sunday of each month from 11:00am-3:00pm weather permitting. Take your picnic supplies! Admission and parking are free. The Barn is located at: 5202 Zoo Drive, Los Angeles, CA 90027. 4. 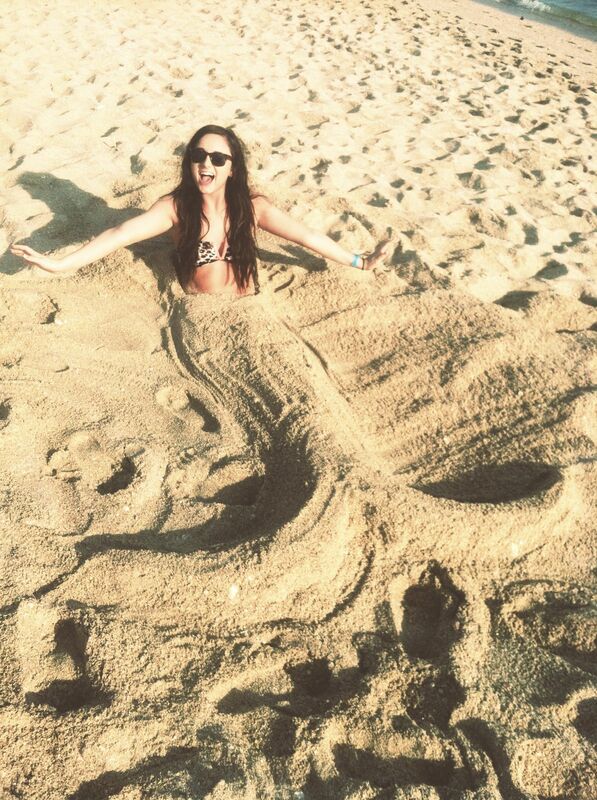 Mermaid towels, people. MERMAID TOWELS. 5. Strut your stuff in a burlap dress*. That is, if you're legit. Alright, last one for now. Finding Nemo is a fun one too and I couldn't leave it out! 1. The Finding Nemo soundtrack isn't much, so I'd go for all the Pixar classics. 2. Eat goldfish crackers and blue Jello ALL DAY. 3. Have a Jellyfish race! Instead of jumping on actual jellyfish (you jerk), set up hula hoops on the sand. Each competitor need to jump into each hoop, and whoever gets to the end first wins. 4. Bubbles! Because why not? They rock. 5. Count the seagulls (in other words, a great game to keep the kids from bugging you while you try to read). What other Disney-themed ideas do you have for the summer? Amy Melissa is A Waltz Through Disney's art director, as well as the artist and blogger behind Cozy Reverie. She is also a content contributor for Disney fashion, art, news, and opinion. Big fan of Donald Duck, and will watch Robin Hood on repeat.